Roughly, between the years 1830-1870, a group of French painters gathered near the Forest of Fontainebleau, located 60 KM southeast of Paris in a village named Barbizon. This was during what's called the Romantic Art Period, which reached its peak between 1800-1850. In 1824, English artist John Constable (1776-1837) had several of his works exhibited at the annual Salon de Paris. Natural subjects in the form of landscapes were the focus of these paintings and some of the younger artists of the time were greatly influenced by the idea of abandoning the formalism that was currently in vogue, using nature for direct inspiration rather than as just a backdrop to a specific dramatic event. During the Revolutions of 1848, in which thousands were killed in Paris during the uprisings, many artists left the city and gathered in Barbizon where the major themes of their paintings became the French landscape, particularly scenes around Barbizon, including the Forest of Fontainebleau. This group of nature-painting artists became known as the Barbizon School and included Theodore Rousseau, Jean-Batiste Corot, Jean-Francois Millet and Charles-Francois Daubigny. During the 1860s, many of the younger artists studying in Paris were attracted by Barbizon School's influence and traveled there to paint landscapes of the local area, particularly Fontainebleau Forest. These artists, including Pierre-Auguste Renoir, Claude Monet and Alfred Sisley were instrumental in developing Impressionism and painting in the style known as "plein air." Famous not only for his paintings but also his etchings, Charles-Francois Daubigny (1817-1878) gave us "Clair de lune a Valmondois" (Moonlight in Valmondois) in 1877, produced just two months before his death on February 19, 1878. 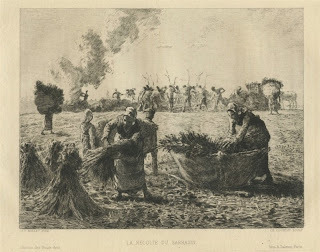 This original etching was used as an illustration for Daubigny's obituary and later published by The Gazette des Beaux-Arts in Paris. It was printed by A. Cadart. Born the son and nephew of well-known French painters and taught to paint in the traditional style, Daubigny made a significant change in 1843 when he relocated to Barbizon and began using nature as his primary subject while working out in the open air. He produced a total of more than 150 artworks during his career. Jean-Baptiste-Camille Corot (1796-1875), although famous as a Romantic painter and etcher associated with the Barbizon School, had a great number of etchings produced by other artists after his own previously completed works. These were done both during his lifetime and also after his death, as in the case of this etching done by Robert Swain Gifford in 1880. Gifford (1840-1905) was an American landscape artist influenced by the French Barbizon School. 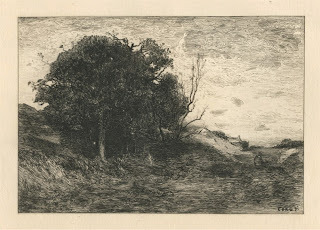 This etching on cream laid paper is entitled "Paysage," which translates from French as "Landscape." Corot was well known for his many paintings produced outside in the open air with landscapes as the primary subject. The Jean-Francois Millet painting, "La Recolte du Sarrasin," which translates from French as "The Buckwheat Harvest," was an oil on canvas executed sometime between 1868-1874. The exact year is unknown. This etching, made by French artist Charles Courtry (1846-1897), was published in 1875 in Paris by The Gazette des Beaux-Arts, the leading French publisher of etchings at the time. The piece was printed by A. Salmon on laid paper, unsigned, and measures 5.5" X 7". Courtry's first etching is believed to have been published in Paris in 1868. He followed this with approximately 500 other etchings, most of which were interpretations of the works of others. Theodore Rousseau (1812-1867), one of the leaders of the French Barbizon School, painted with a naturalistic style for which the Barbizon School was known. 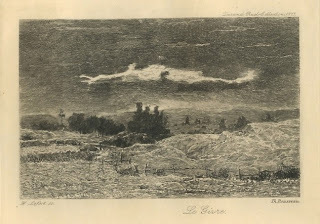 This etching, called "Le Givre," meaning "The Frost," was executed by H. Lefort after the Rousseau painting. 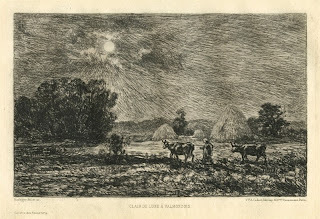 It was published in 1890, 23 years after Rousseau's death, in the village of Barbizon and was printed in a limited edition of 200 on parchment style paper. Like many Romantic artists of the mid-1800s, Rousseau had difficulty exhibiting his works in the annual Salon de Paris after becoming a "naturalist" artist in 1835, and his work was basically "exiled" until 1849, years after some of his best works were produced. Beauty, as we know, is in the eye of the beholder. This includes not only the artwork we collect but also the way we choose to display those works. 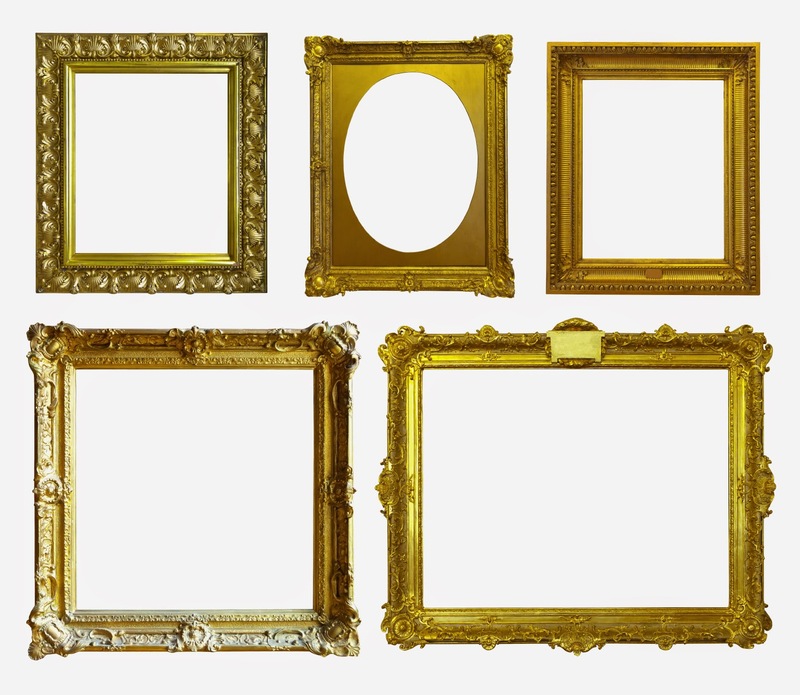 The process of collecting art is done through a variety of motivations, each unique to us as collectors, and the rewards may be intellectual, emotional, social or based on investment for potential financial gain. Whatever your reasons for acquiring and building a collection of artwork, many collectors agree that a primary precursor to any art purchase should be that you love what you buy. When you surround yourself with art that brings you pleasure on a day-to-day basis you're providing yourself the emotional reward that comes with simply feeling good. It doesn't matter whether the pieces you choose are expensive or expected to increase in value if your prime motivation is the way the artwork makes you feel emotionally or intellectually. Part of this process, of course, includes not only the artwork you've chosen but also how it's displayed. Here are a few quick tips to consider. Several recent surveys show that 75%-85% of those who collect art do so for the emotional value, although a small percentage admits to collecting for investment purposes. Interestingly, though, it's not for expected returns but rather for capital protection and diversification. Theoretically, these collectors might just as well lock up their artwork in a vault or other place safe from sunlight, humidity and the adoring eyes of appreciative onlookers. For the rest of us, we want our artwork out where it can be enjoyed and bring pleasure to those experiencing it. Some of the more important elements to consider when displaying wall art include how pieces are organized, what locations are best for which items, how things are framed (or not framed) and how they're grouped together. 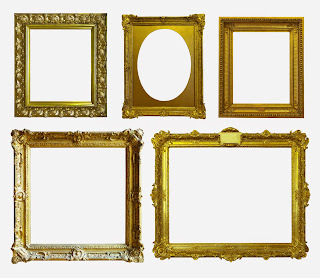 Groupings can also consist of different sized pieces, each with a unique frame, and clustered together with a small but equal distance between each piece. The wall above your sofa or fireplace, for example, will often have a more pleasing appearance with a tasteful cluster of smaller pieces on one part of the wall, rather than scattered or spaced out along the entire wall. You may also opt for the idea of building a gallery over time on one large wall. In this case, start with a center cluster that you can add to over time without the need to take pieces down, patch the holes, and start over again. One way to choose which display works best is to make paper templates you can tape to the wall or spread your artwork out on the floor and shuffle it about until you achieve the look you want. Wall art should be displayed at the correct height so that it's easy to view. Typically, this would mean the centerline is about 5'7" above the floor in most rooms, although artwork displayed in the dining room may be lowered to easily be viewed from a seated position. Do you have a preferred method for displaying your art? Let us know in the comments below.